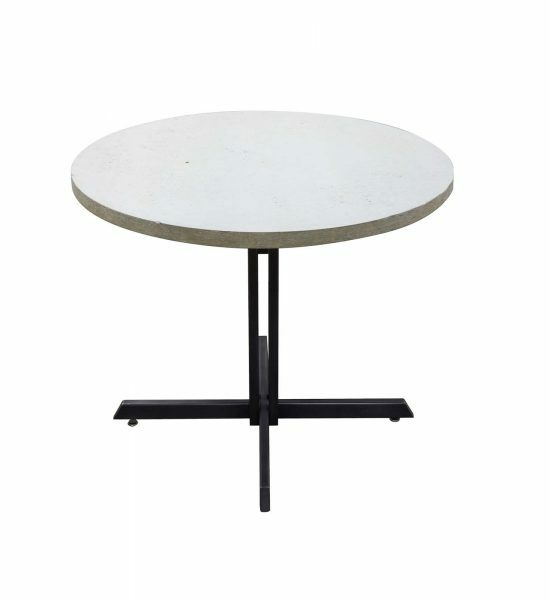 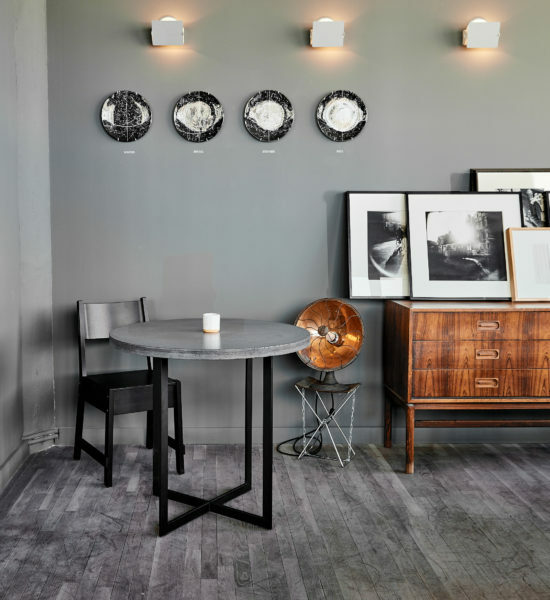 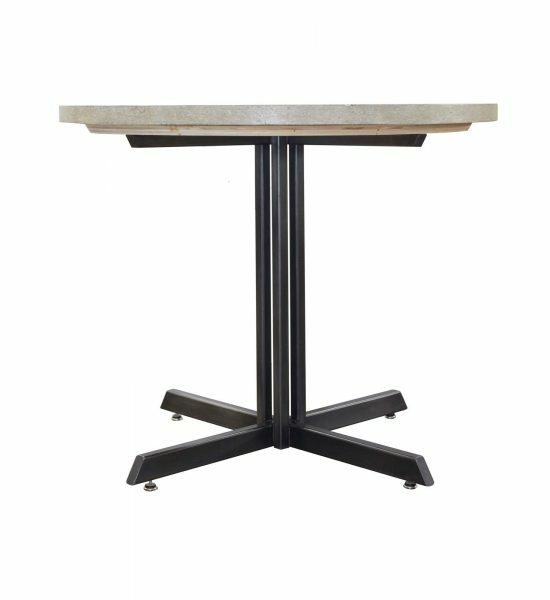 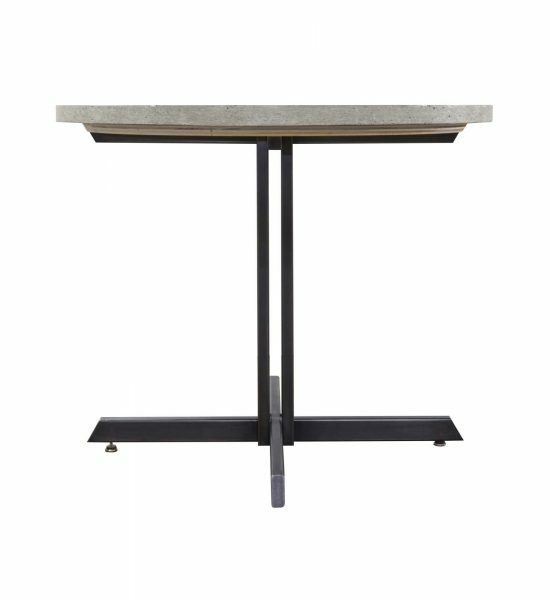 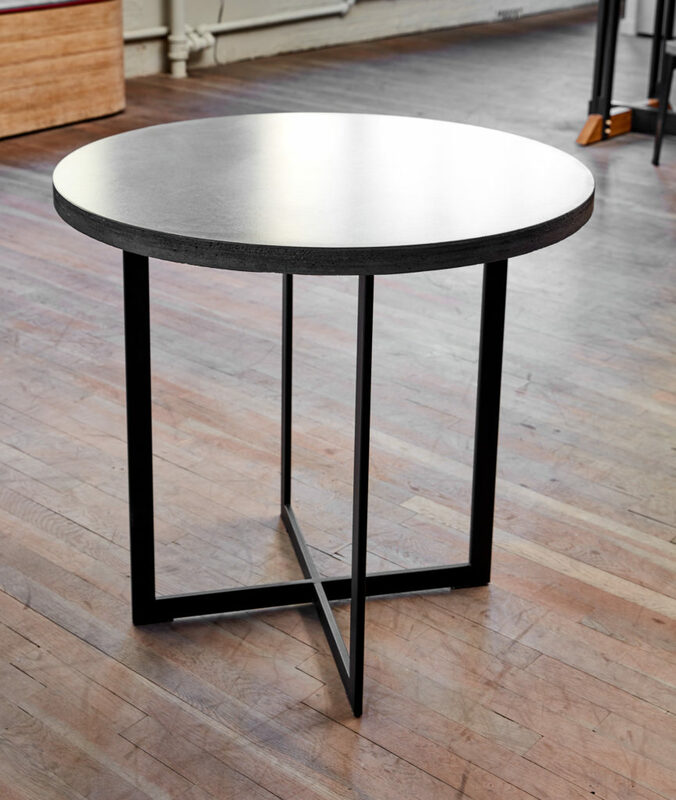 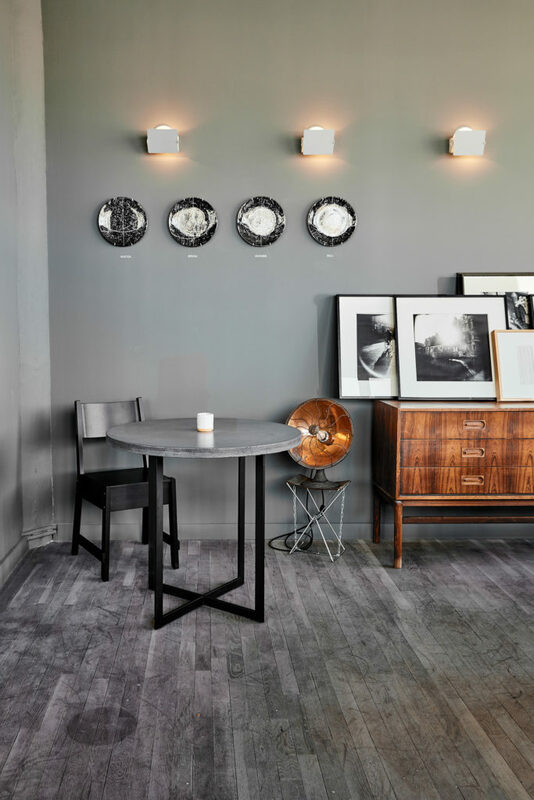 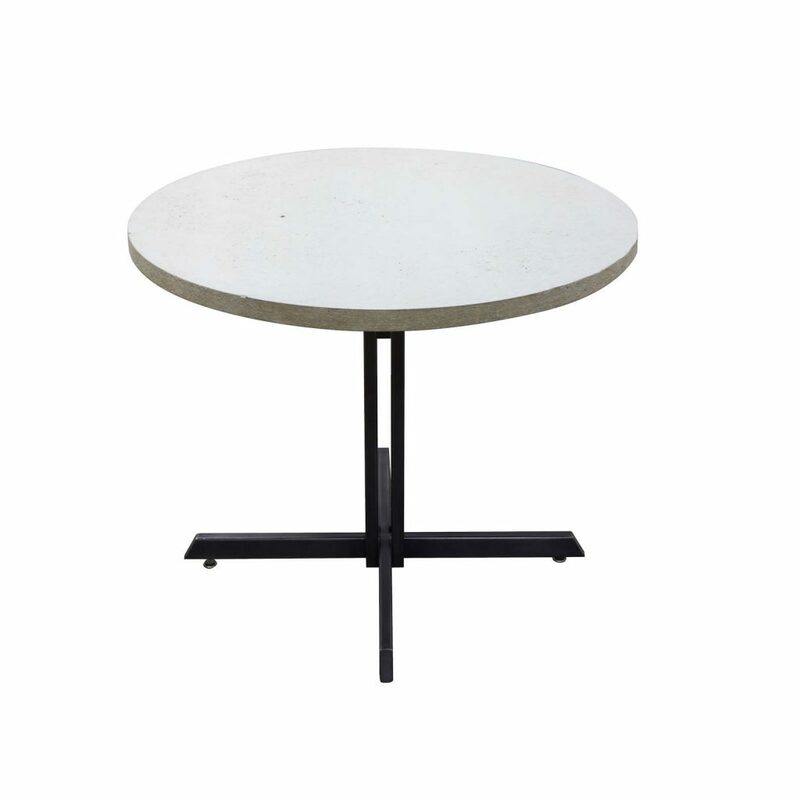 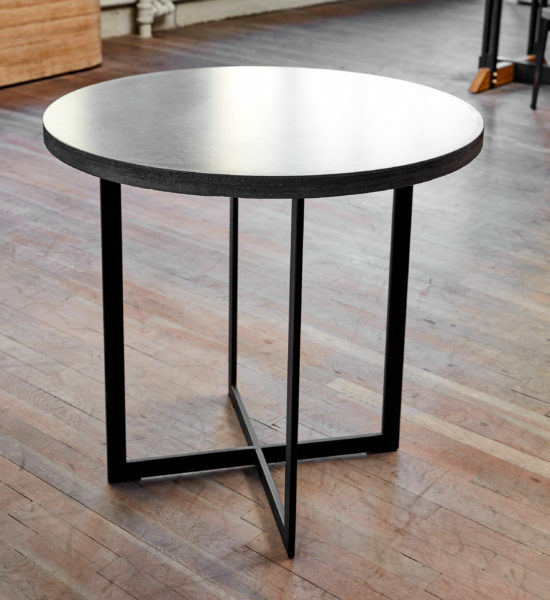 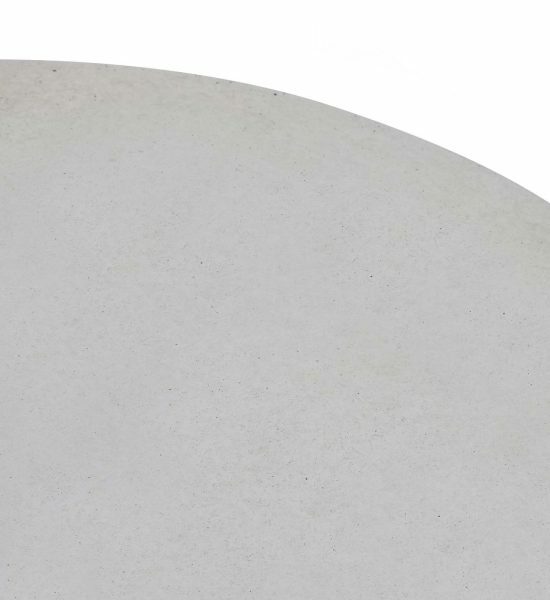 BETON bistro table is our version of the classic bistro table with a edgy twist. 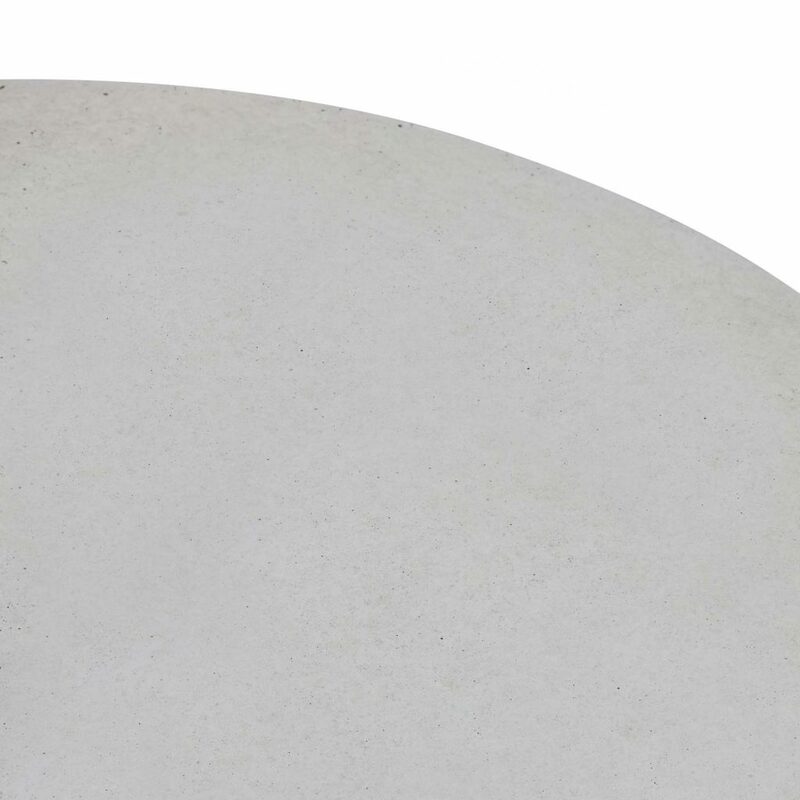 The top monolithic slab of cast concrete, is finished with a light non-toxic sealer to keep the look and feel of stone but offers protection from stains. 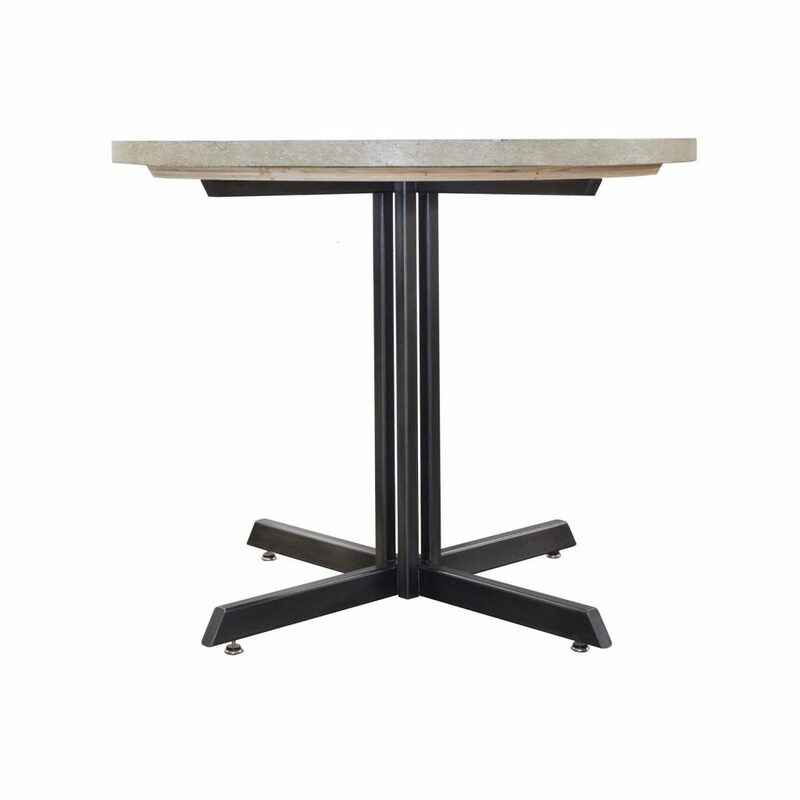 Available in custom finishes and colors with different metal bases.